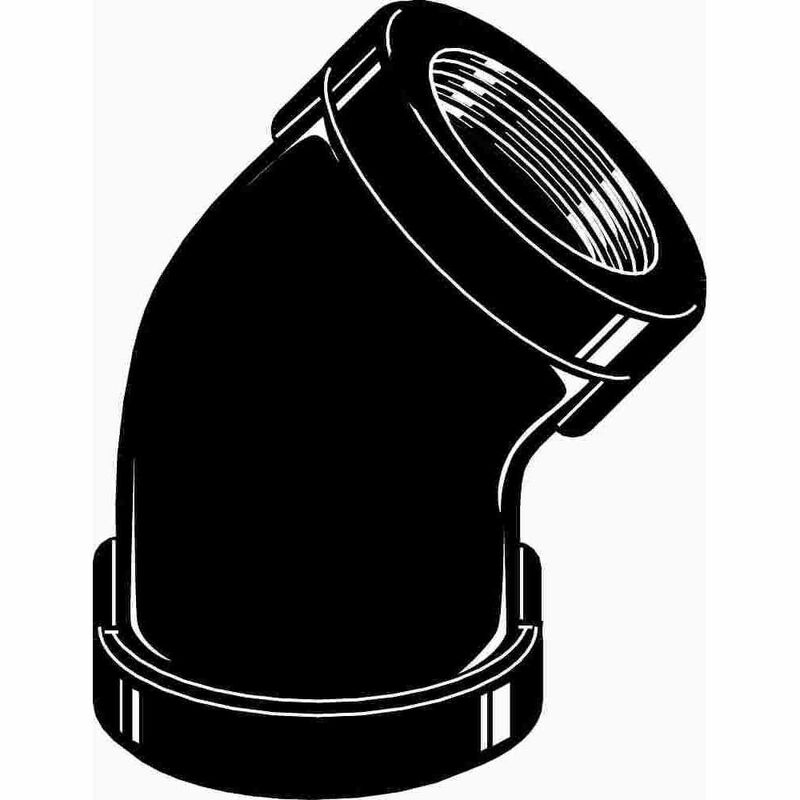 BrassCraft's steel female gas fitting adapts a gas connector nut to appliance gas inlet, gas ball valve outlet, or to the gas supply pipe. These fittings are manufactured from solid bar stock for a seamless, durable design. The flared end of the fitting connects to the gas connector nut. The male end connects to the gas appliance inlet, gas ball valve or gas supply stub out. Fitting is used with 5/8 in. O.D. (15/16-16 thread) gas connectors for appliances with larger BTU demands such as a 5 or 6 burner stove, furnace or boiler. Order tube straps and hanging accessories from Dahl Brothers by phone or request a catalogue with our full line of plumbing and hydronic system products. Dahl Brothers plumbing products are all made in North America to the strictest quality standards. Connects Two 1/2 Inch Pieces of Poly Pipe together to form a 90 degree turn. NSF Approved. Safe for Potable Water. Good Chemical Resistance. Widely used in the Pool and Spa Market. Temperature Rating 73 F - Cold Water Applications. Connects 1 1/2 Inch Poly Pipe to 1 1/2 Inch Male Threaded Pipe to form a 90 degree turn. NSF Approved. Safe for Potable Water. Good Chemical Resistance. Not affected by Ultraviolet Light. Widely used in irrigation systems where lines are not below the frost line. Temperature Rating 73 F - Cold Water Applications.